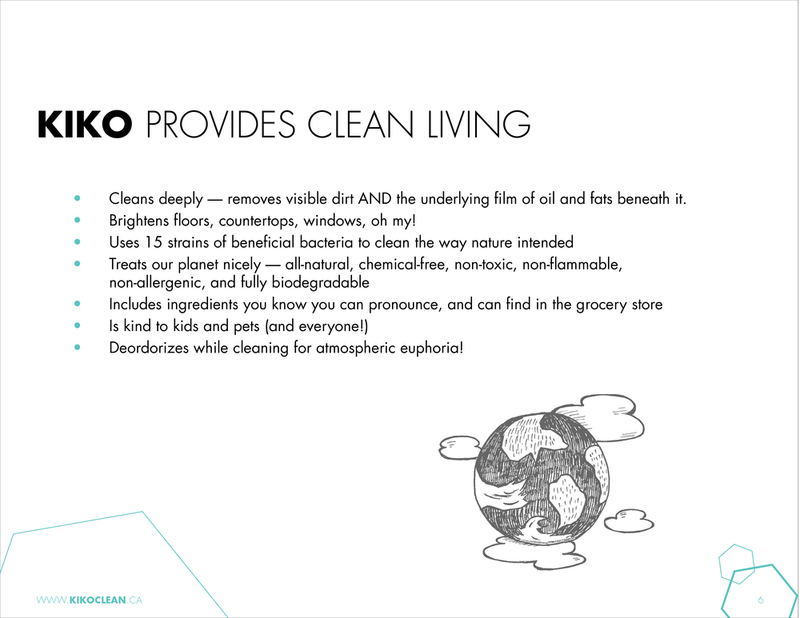 Kiko, originally named Keako, is a ground breaking, natural cleaner that is disrupting the industry. In fact, it’s so new and revolutionary that Google doesn’t even have proper search terms for it yet. Wait, what? Yes, that’s right Kiko is a step ahead of our digital big brother. For those reasons and a pending name change, it needed an overhaul to clearly communicate its uniqueness so it slid off the shelves and into consumers shopping baskets. I was brought in to direct and execute the rebranding which included a refreshed logo, product label re-design that was on point with Canada labeling regulations, and a business to business sales deck. Was it a challenge? Yes. But not for the reasons you may think. Every design project is a challenge and one I’ll never step away from. The challenge was this. What are probiotics doing in a spray bottle anyway?! Kiko Living Clean is a probiotic-based cleaning solution. It uses good bacteria to battle bad bacteria. The result? Healthier homes which means more good stuff and less bad stuff on countertops, floors, and windows. We all grew up with blue toilet water and plug-in odorizers, too. We get that our society doesn’t think it’s clean unless they can smell “clean”. 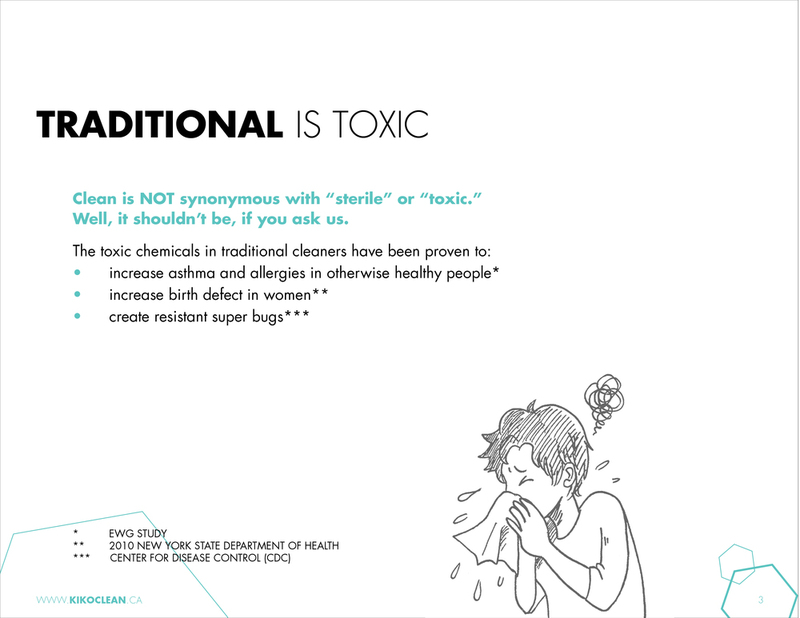 The truth is: Clean shouldn’t smell “sterile” or “toxic.” A clean smell means more than clean – it means damaged eco-systems, lack of pet and people safety, and exploding skull icons on the bottle. Kiko is all-natural, eco friendly, and ALIVE with probiotic microorganisms which means they actually grow in the bottle. Pretty cool if you ask me.